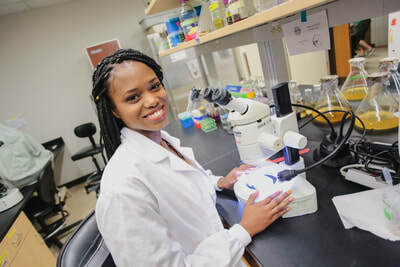 Rockelle earned her bachelors degree in microbiology from Indiana University in 2016 and with an interest in investigating gut-brain interactions she set out to gain a foundation in neuroscience. 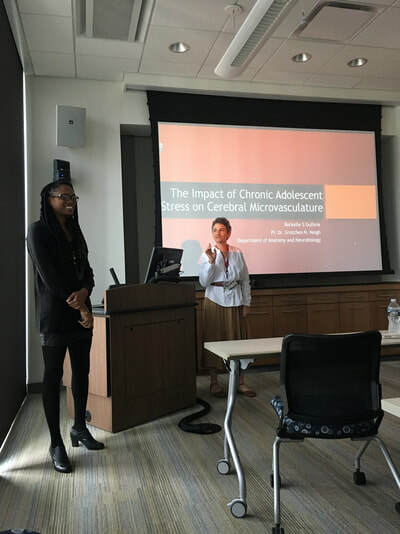 After graduation, she went on to study the neural mechanisms of early life adversity and adolescent stress at Virginia Commonwealth University. Knowing that she wanted to study more than just deleterious effects of psychological stress, she resolved to dedicating her career to understanding resilience. Now as a first year doctoral student in UCLA’s Molecular, Cellular, and Integrative Physiology PhD program her research focus is in neuroscience, studying interactions between sleep, learning, and memory. In addition to this she is a competing Brazilian Jiu Jitsu (BJJ) athlete and youth BJJ instructor. 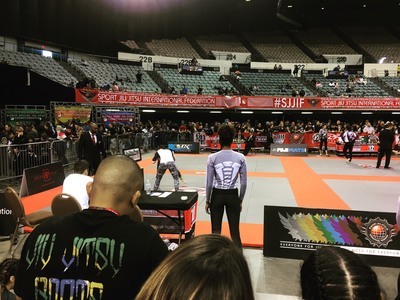 In an effort to bridge her interest in scientific research and Brazilian Jiu Jitsu she began exploring mechanisms through which practicing jiu jitsu could impact cognition and hopes to be involved in future studies investigating this interaction.